Our unique set of services for families who require a Family Office or assistance with their small businesses/startup provide comprehensive, integrated support across the full spectrum of family wealth and business management needs. Since 2007, our professionals have formed lasting relationships with family clients and small businesses by using their professional and personal understanding of their clients’ goals to assist in developing and implementing targeted, sophisticated family wealth and business management solutions. Our multi-disciplinary staff is composed of highly credentialed professionals who are experts on a range of specialized issues relevant to managing family wealth and managing small businesses. 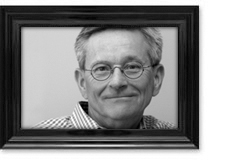 This seasoned business executive and technology investor traces his experience as a senior executive and through his service as a director for several prominent public companies and a number of private firms. He was founder and CEO of TSAI (NASDAQ: ACIW). He served on the public company boards of Hypercom (NASDAQ: HYC), West, Inc. (NASDAQ: WSTC), TriZetto Group (NASDAQ: TZIX) and Bank of America Merchant Services (NASDAQ: BPI). Fisher was a division president at both CSG (NASDAQ: CSGS) and First Data Corp (NYSE: FDC). He was a co-founder of Sojern, Inc. and is a partner in Loess Hills Harley-Davidson. He was also on the board of Scooters Coffeehouse (sold to private equity group), MeNetwork (sold to Spindle, Inc.), Income Dynamics (sold to Intuit, Inc.), Planet Consulting (sold to CSGS) and Prism Technologies (sold to Internet Payments Corporation). He is on the board of several companies located in Omaha including D3 Banking, Simple Insurance d.b.a. as benefitbay™, Prairie Cloudware, Inc. and FTNI. He holds an undergraduate degree in management from Indiana State University and an MBA from the University of Nebraska. Tom’s experience ranges from information technology operations and corporate administration to executive management and international business. In a career that spanned more than 20 years at ACI (NASDAQ:ACIW), Boje opened offices in Asia Pacific and was stationed in England as Managing Director of Europe, Middle East and Africa and served most recently as CIO and corporate VP. At Treetop, Boje co-founded and was CEO of Prairie Finance, a sub-prime funder and loan administrator for a Nebraska-based used automobile enterprise. 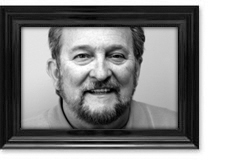 He is board secretary for Prairie Cloudware and serves on the board of Ballyhoo Autoware. His knowledge of IT, risk management, office procurement/build-out, and cost effective technology in a software business are key strengths. He graduated with a B.S.B.A. from the University of Nebraska at Omaha. With a background working with an entrepreneur who always had a multitude of companies to manage, Susan has the perfect experience to be the office manager at Treetop. She is experienced in QuickBooks, Excel, Word and Outlook. She has over 15 years experience in setting up and keeping books as well as all the duties and responsibilities in making an office run efficiently. She has been involved in both real estate and insurance previously in her career which gives her unique insights into various business affairs we are managing within our family office. 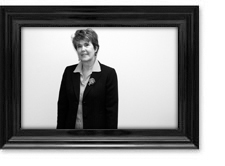 Susan has a Bachelor of Arts degree from the University of Nebraska and is currently working on a degree in accounting. 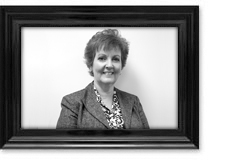 Mary is a detail-oriented accounting professional with 30+ years of experience applying financial and managerial accounting and auditing practices. Her background includes a stint as an internal auditor at Northern Petrochemical; this experience has helped define her as a skilled “balance sheet” accountant. Her experience in the corporate world includes managing a large centralized payroll and benefit department for Enron and maintaining fixed assets for a 150 store chain of retail convenience stores for an Omaha based operator. She expanded this experience with an accounting firm, DeBoer & Associates PC, where she sharpened her skills performing field audits for their customers. She also trained and supported customers on QuickBooks. She came to Treetop from RemitPro where she was the Controller and was responsible for the accounting and financial systems of this small but growing start-up company. Mary is a graduate of the University of Nebraska with a degree in Accounting. 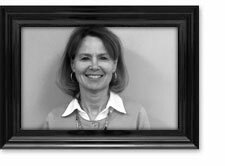 Sondra is an experienced and accomplished accounting specialist with a variety of experience over the past three decades. After attending Northeast Community College in Norfolk in the 80’s, she immediately went to work perfecting her accounting skills. She was the office manager/bookkeeper for American Driver Services for over fifteen years and this job exposed her to all facets of the back office work for a small business. Bank account reconciliations, multi-state payroll, federal and state tax reporting, A/R and A/P, general ledger and financial statements were all part of her duties. She has researched, recommended and implemented accounting software packages to handle business needs. She has helped companies clean up QuickBook implementations in order to get more timely and accurate reporting; she is very comfortable with this widely used industry application. She is very comfortable in all facets of small business accounting and is comfortable with any assignment from insurance to payroll to tax reporting.